As air pollution is on its way to get catapulted to the whopping, it is really becoming a matter of great worry for all. Even it is becoming prevalent even in indoors. As a result, people like you are looking ahead for some easy, highly effective and inexpensive ways for cleaning the air inside their homes for leading a healthy life. Olansi air purifier would be your best choose. Olansi healthcare has more than 10 years experiences in the field of water treatment, china air purifier and hydrogen water maker products, with more than 50 research and develop colleagues, more than 11 labs, all these can ensure their company in the leading of these fields. Air purifiers are used in homes and offices throughout the world. They are gaining popularity as people pay more attention to the air they breathe and the pollutants in the air. Air purifiers provides users with a range of benefits that you can start taking advantage of the minute you start using the device, whether you choose to use it at home or in the office. Air purifiers are great because they can reduce the allergens, dust mites, and pet dander in your air so you are breathing healthier air. If anyone in the house has problems with sinus infections, nose bleeds, or other respiratory problems, then a doctor may request you get a purifier to help with your problems. These purifiers are great because they are easy to install, and you can find yourself with cleaner and better air in no time. Make sure that you are not putting your family at risk, especially if you are living in an old home, or one that hasn’t been looked at or renovated lately. A purifier can also help improve the general health of you and your family, and you can cut down on the respiratory problems and infections that your family encounters. 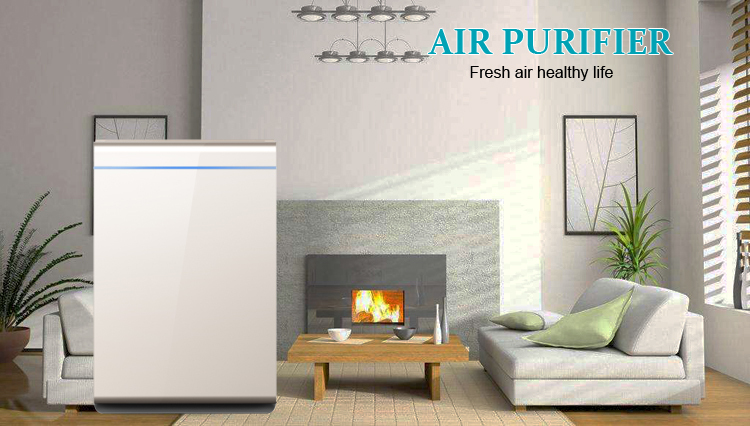 An air purifier can remove most or all the impurities present in the indoor air. It is necessary to know about different type’s filters before choosing one. 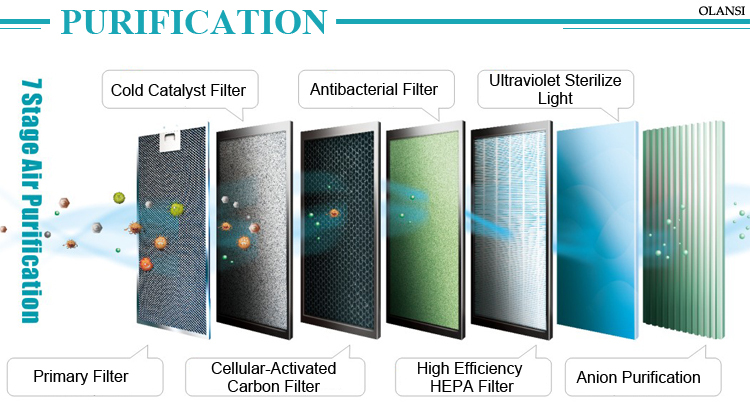 High-Efficiency Particulate Air (HEPA) filter trap air borne particles, when the air is forced through filters. They remove air pollutants of 0.03 microns or greater in size. They are efficient in removing solid dust particles, pollen, and mold spores. However, they are unable to remove bad odor and chemical fumes. Ionic air filter provide a negative charge to the particulate matter in the air, which is attracted to positively charged pollutants in the air. A combination of these particles is heavy and hence they settle down. Some of them may also contain two metal plates with positive and negative charge that attract oppositely charged particles present in the air. UV air filter sterilize the indoor air by making it pass through UV lamps using forced air. They are effective against microbes such as bacteria and viruses. They can be chosen to provide a cleaner place for a sick family member in your home. Carbon activated filter incorporate adsorption technology. When the particles and odors pass through the filter, they are bonded to the activated carbon. They are suitable for adsorbing gases, odors, chemicals, and fumes. If you are interested in olansi air purifiers,you can buy it from worldwide air purifier distributors.